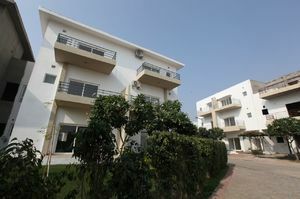 Golf Foreste Villa is one of best villas in Greater Noida which is developed by Paramount Group. provides luxurious ready to move villas, AC apartments, studio apartments, flats and suites at prime location in Greater Noida. It includes modern features and amenities. Book paramount Golf foreste luxury villas and apartments in Greater Noida and Noida. Purchase ready to move homes because 500+ families have been already shifted. Call @9873180237.